Further to my posts on track rod end replacement and refurbishment, I thought I’d write up my experiences with the new Hill Engineering track rod ends. My new (to me) F430 had significant play in both sides and faced with the choice of replacement or refurbishment I thought I’d give the new Hills items a whirl. 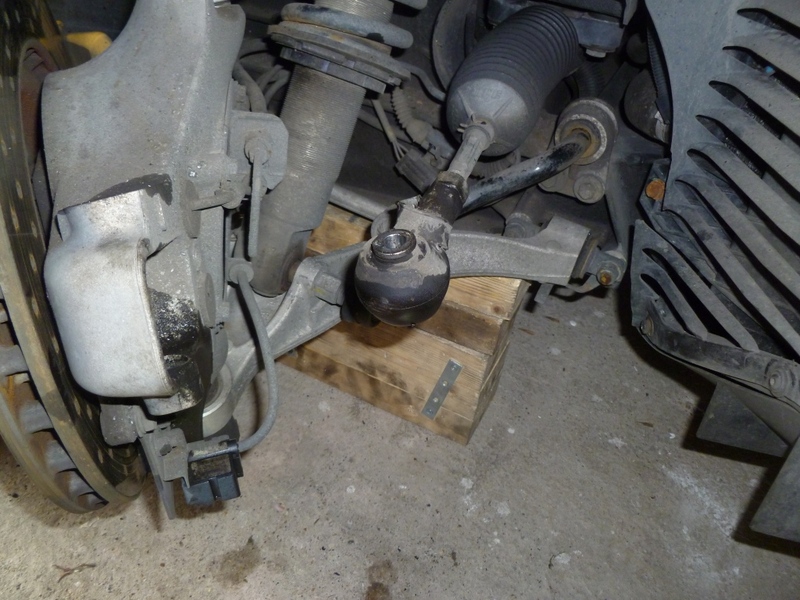 The Hills tie rods appear to be machined from a solid piece of aluminium fitted with one of their famous stainless steel ball joints (upper) and a pair of dust covers. They have also helpfully siliconed the dust covers in to reduce moisture ingress. 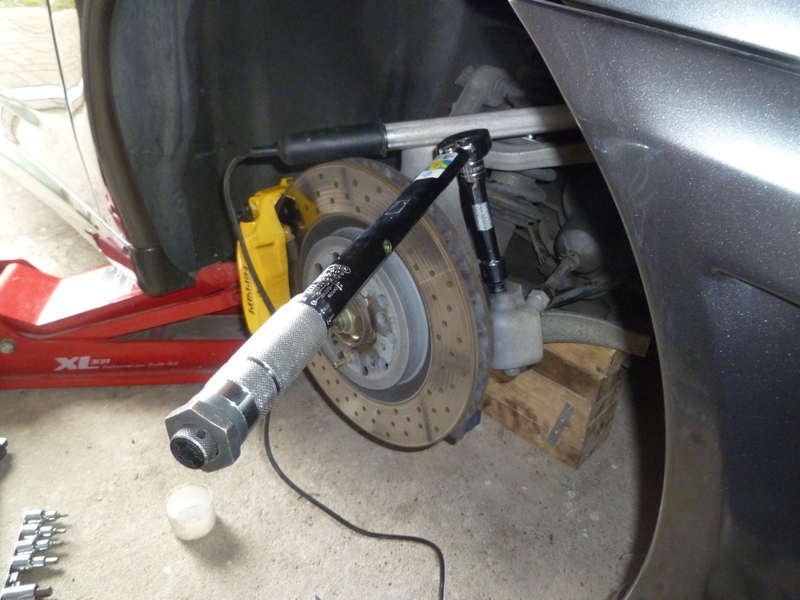 One of the advantages of buying these is that if the joint did fail in the future then just the ball joint could be replaced quite easily. However, there is a pricing oddity that doesn’t make this worthwhile. 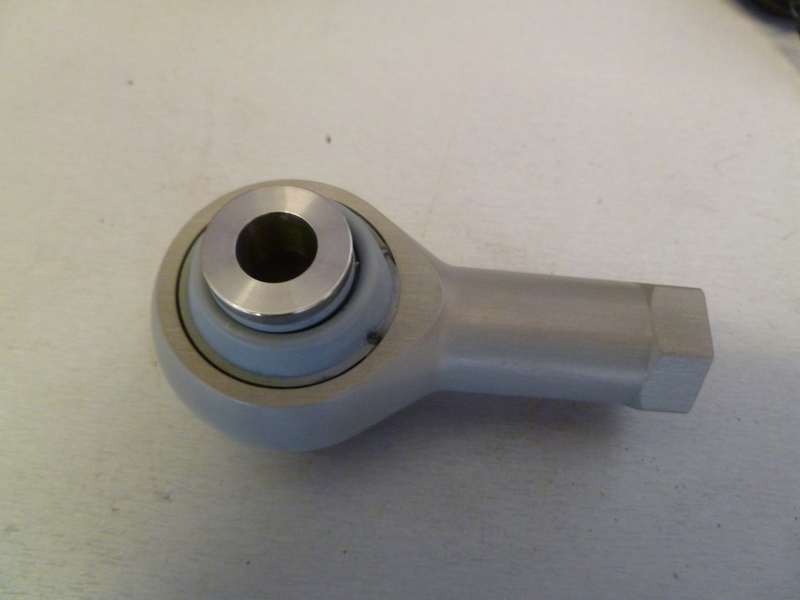 A track rod end is priced at £155. 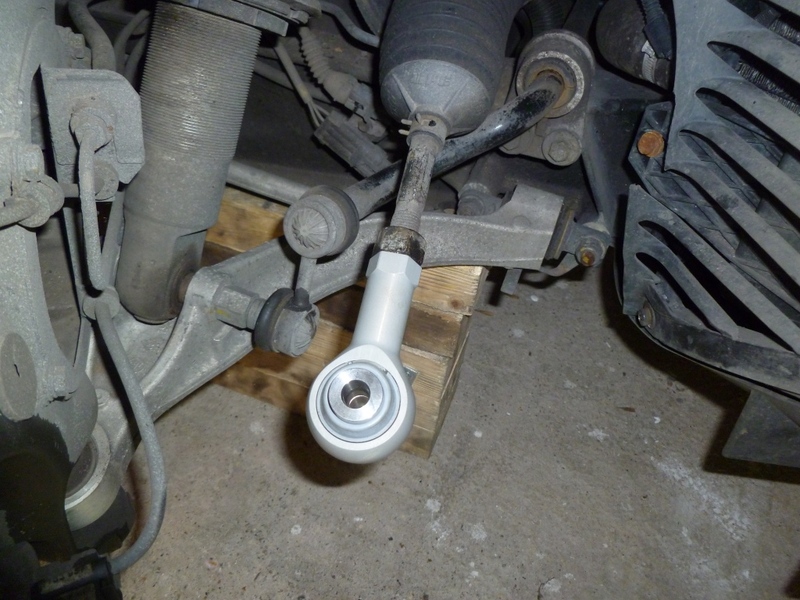 An upper ball joint is £115 and the boots are £18.50 each – by my calculations this makes the track rod end body priced at a paltry £3. Clearly there is significant margins in the ball joints and boots. (All prices are plus tax). 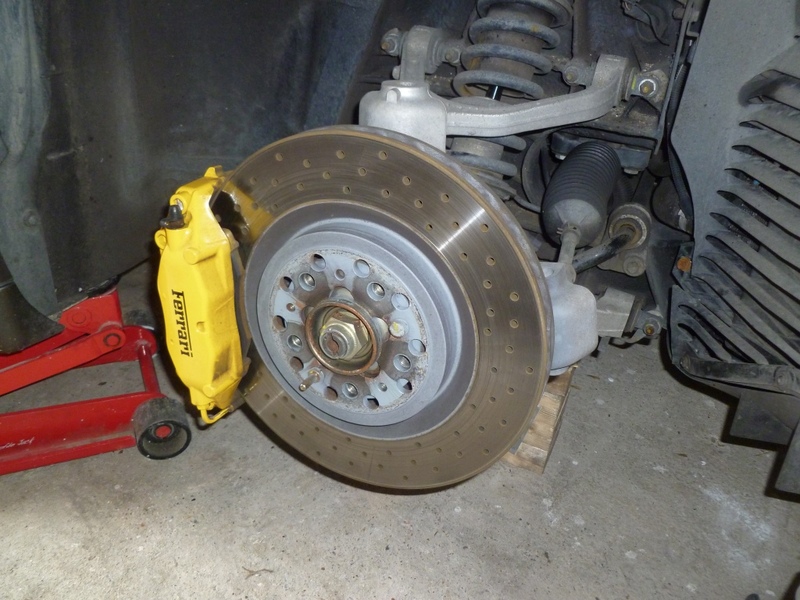 Fitting was dead easy – first of all remove the road wheel. 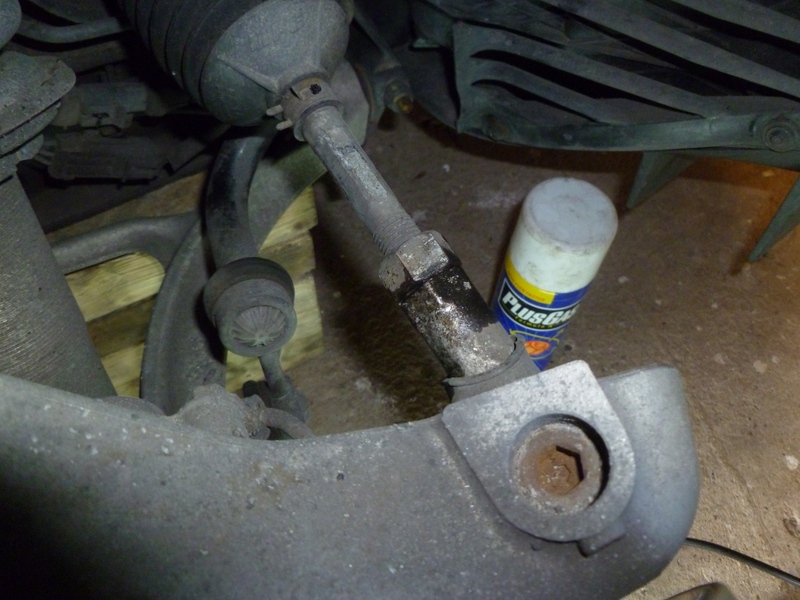 Next the bolt holding the track rod end to the hub needs to be loosened – use a 10mm hex bit. 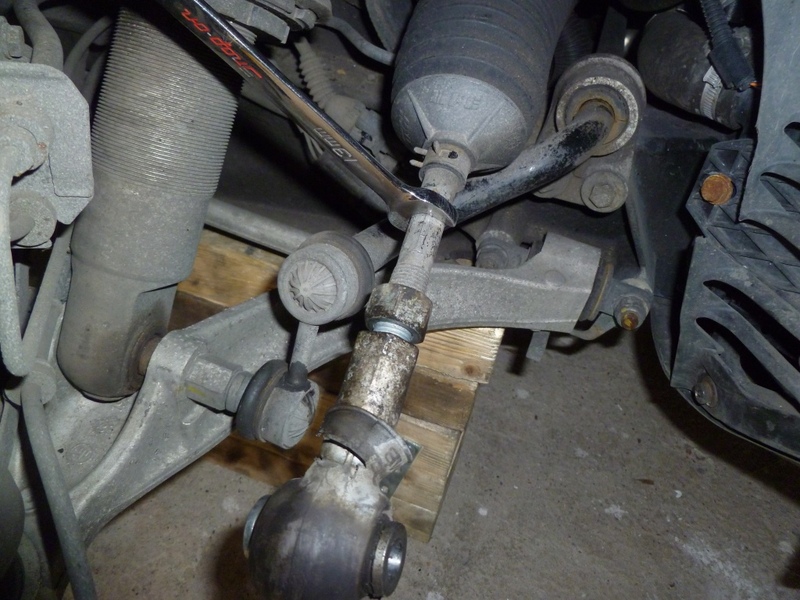 Before removing the bolt loosen the locking nut on the steering rack – you’ll need a 13mm spanner to hold the rack rack and a 22mm spanner on the lock nut. 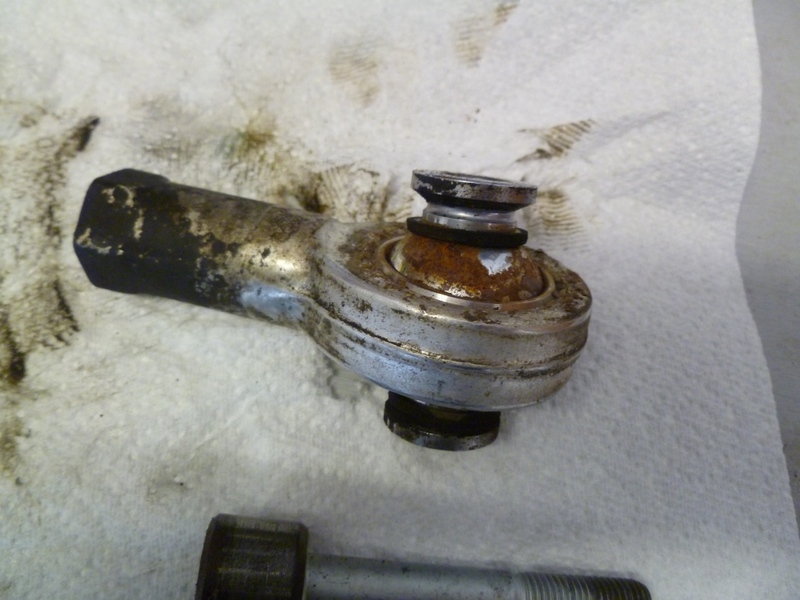 Wind the lock nut back and put some penetrating fluid into the threads of the track rod end. 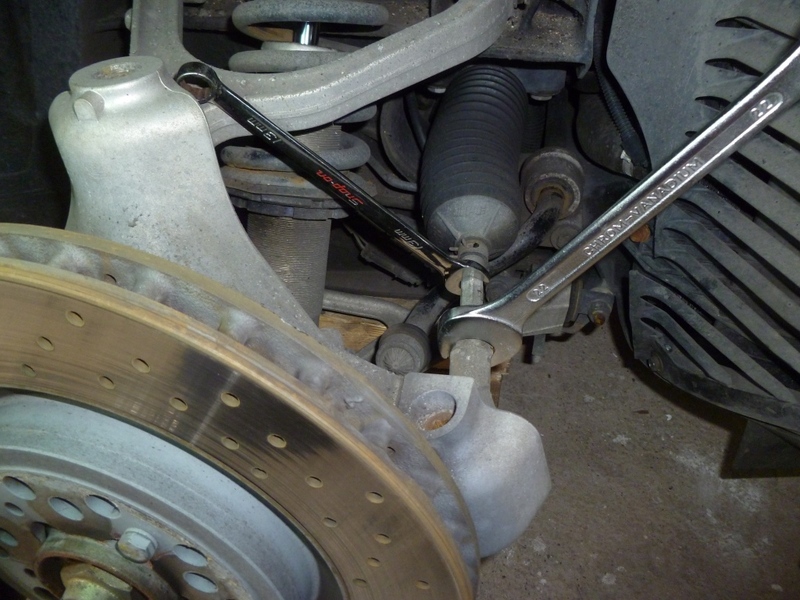 Now wind the lock nut back up to the track rod end until it just kisses it. 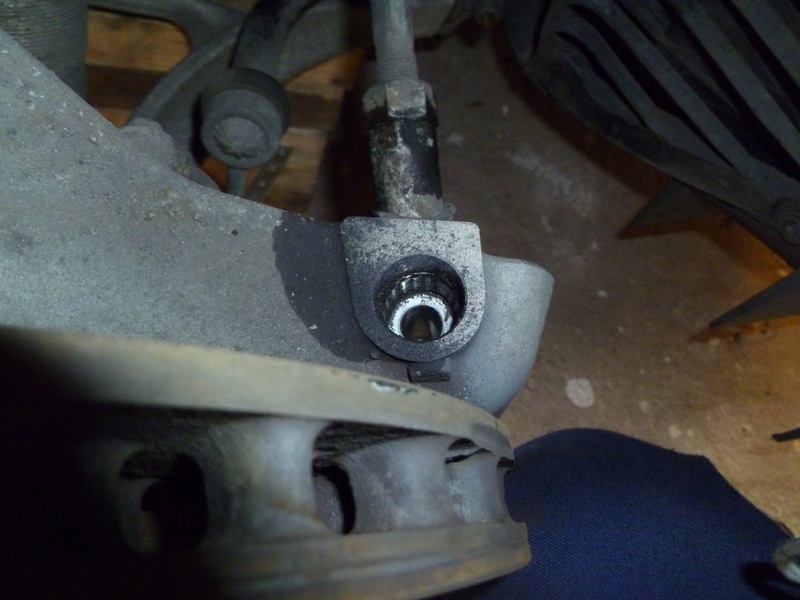 Now the bolt holding the track rod end to the hub can be removed. 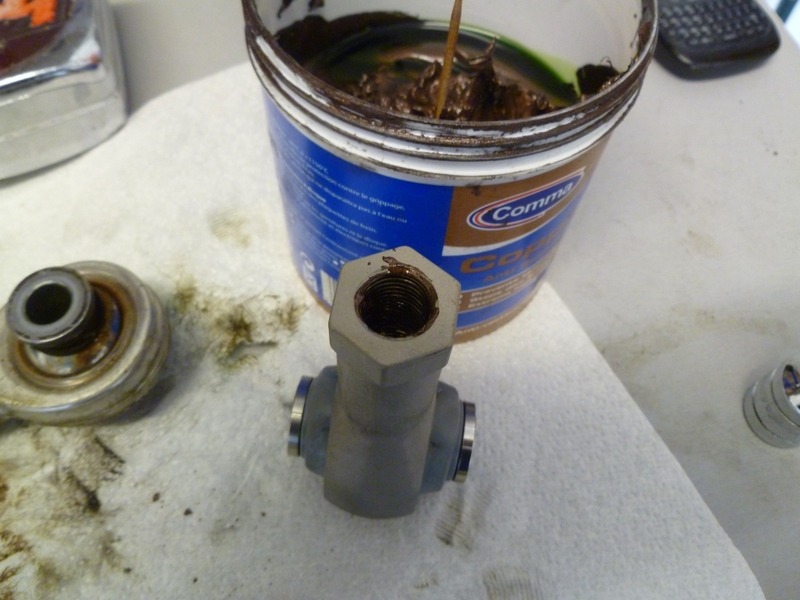 Withdraw the bolt and clean it up. 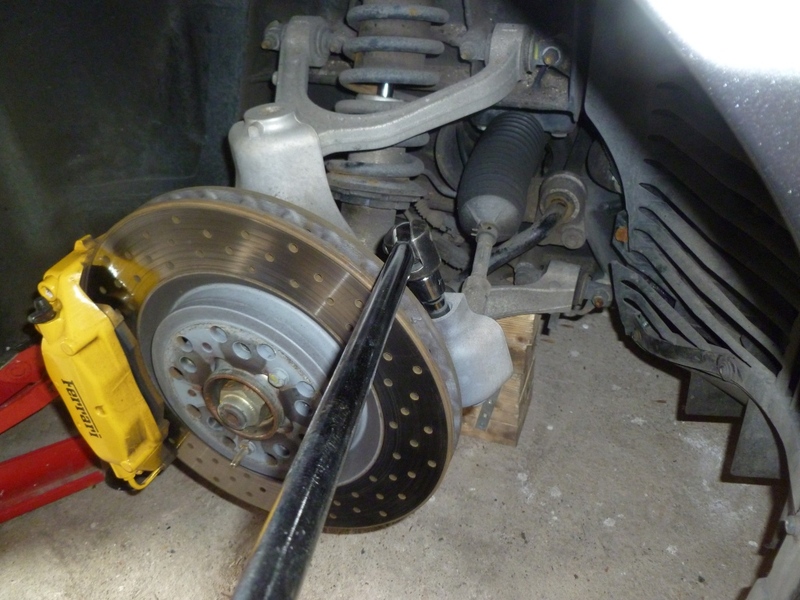 There is a balancing spacer fitted in the hub. If it doesn’t come out with the bolt make sure it is fitted (centred) properly. The hub can now be swung out of the way. 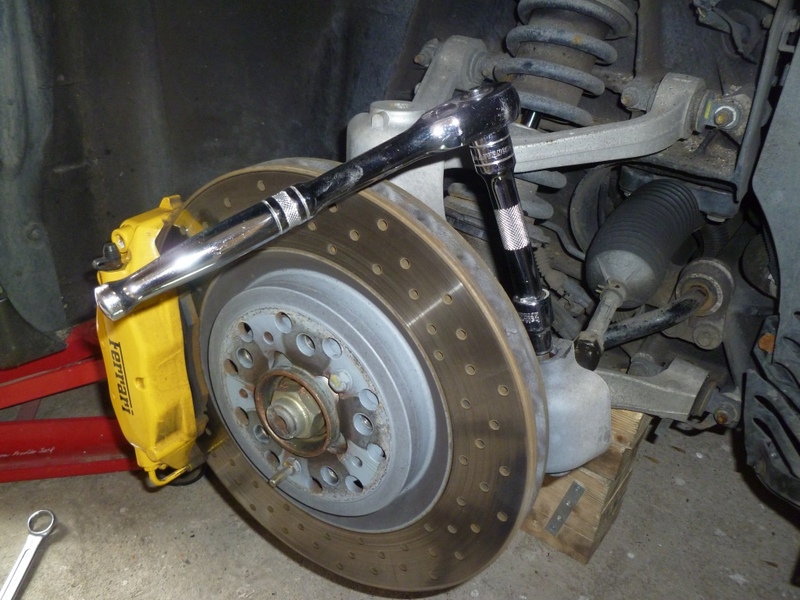 The old track rod end can now be wound off the rack – use a 13mm spanner to stop the rack from spinning. You can see the state of my rubber boots in the picture above. 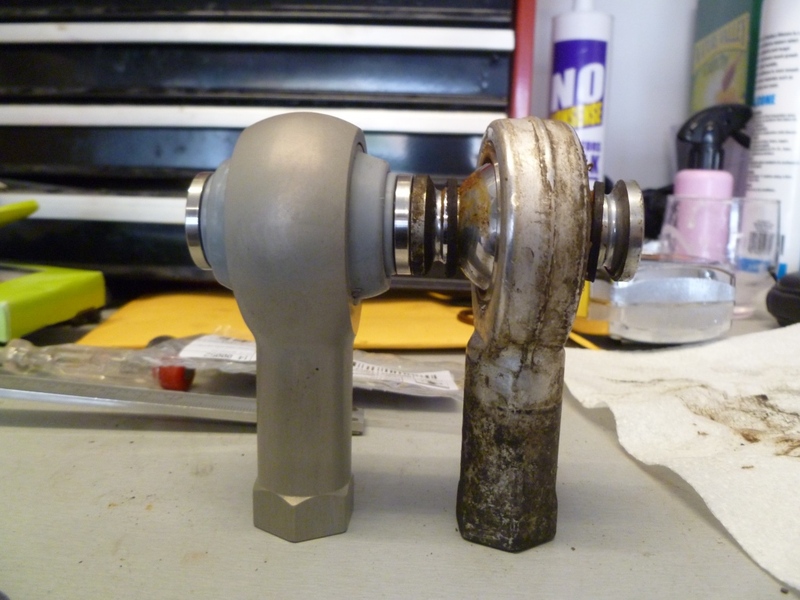 This was what was underneath – it appears that these are made from the same chrome plated mild steel chocolate that the OEM ball joints are made from. One the face of it the Hills part is the same as the OEM. 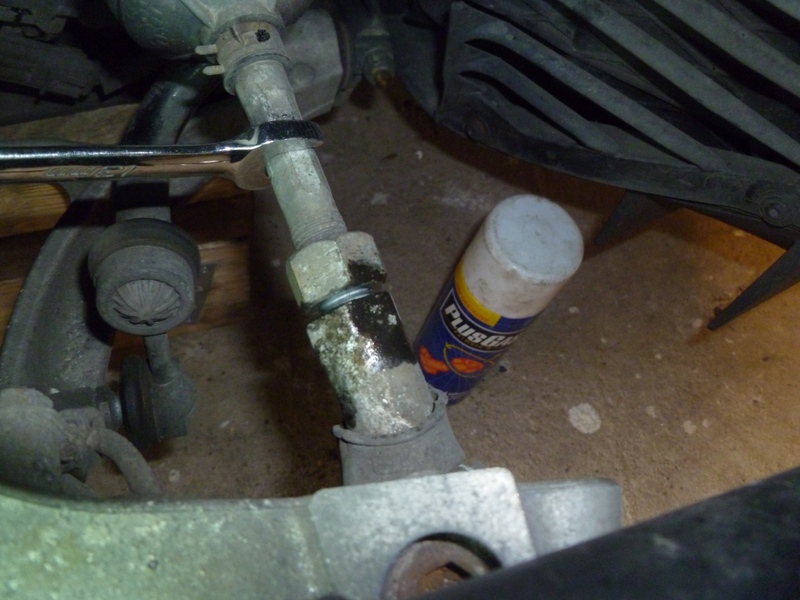 Put some anti seize compound in the threads of the new track rod end. Wind the new track rod end onto the rack until it just kisses the lock nut. Refit the bolt holding the tie end to the hub. Now tighten the lock nut and repeat for the other side. If I was using OEM parts I could be confident that this method would mean the toe would remain the same. However, since this is the first time I have used the Hills parts, and as I have a Hunter alignment machine a short drive away, I thought I’d get a reading and took the car to Wheel Power. I was surprised to see an additional 15 degrees of toe in on both sides. I strongly suspect this is from the fact the Hills parts are aftermarket as I have a receipt in my history for a geometry check fairly recently and the toe was spot on. It doesn’t matter as the correct setting was quickly dialed in but it does mean that when using Hill track rod ends the toe must be checked. The steering now feels nice and direct and the noises have gone. As always — thanks Aldous. This seems like a very simple job that any home mechanic can tackle. I was surprised that the track was out because looking at the two side by side it appeared that the distance from the end to the center of the ball joint was identical (well as far as I could determine). I would have thought that to get such a difference as you did then the lengths of the two would have been observable. Hi Aldous – Thanks for your support on our products – its much appreciated. I have read the above and I hope you don’t mind me responding to a couple of points. I was surprised to see the comment regarding the 15 Degrees either side so I thought I would just check the original Minebea drawings we have against our drawing and also several samples we have and everything is within 0.2mm of each other so I am not quote sure how the tracking was that far out? 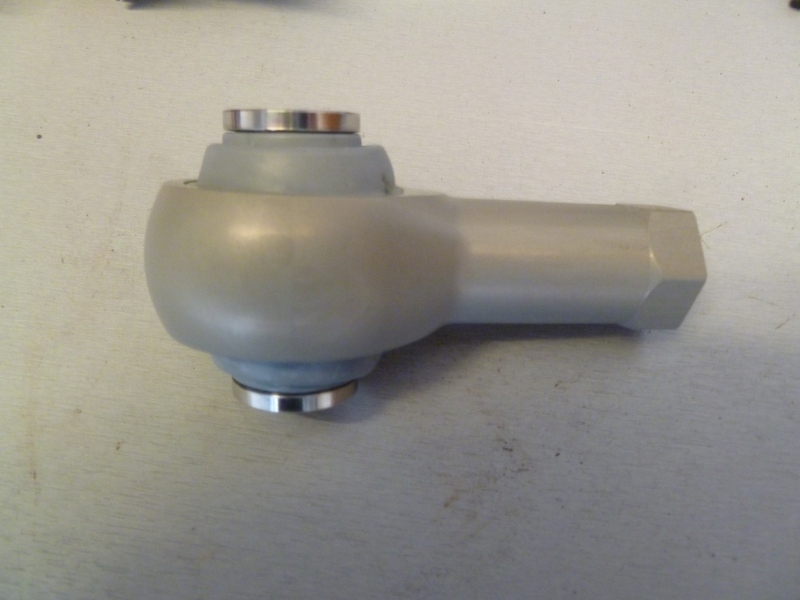 The price of these rod ends should be approximately £20 more than what we are selling them for but I personally decided to subsidise them and make less margin on the whole assembly as this is a new part for us and I wanted to pass a saving on to the purchaser. Thank you for the feedback and the clarity over the pricing. It is possible that the toe was altered between the reciept I have in my history and when I changed the ends. 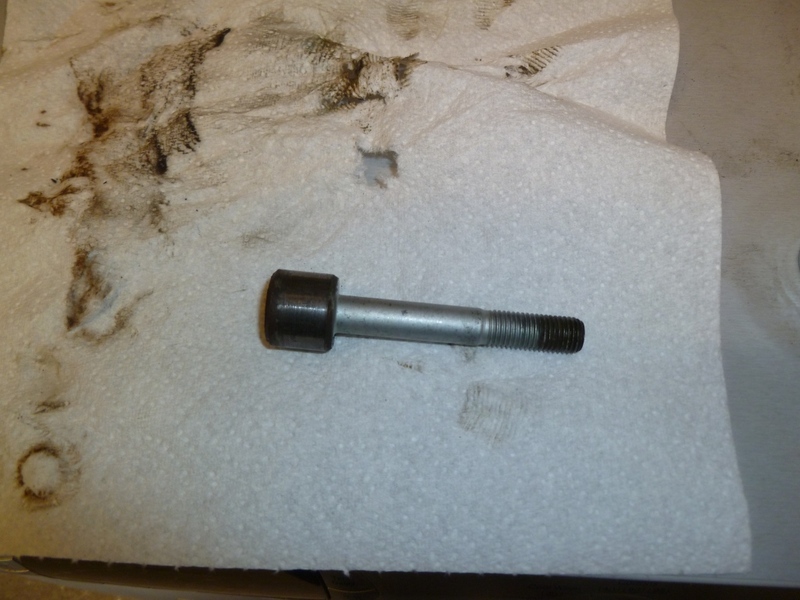 I am due to repalce both rear track rod ends and will naturally turn to you for the parts. Since I had the car measured myself I will know for sure that yours are a perfect clone when I re-measure after fitting them. I’ve just re-read the post and am concerned that it might come across a little negative. For anyone reading this – Hill Engineering parts are the absolute business and I wouldn’t consider any other part over a Hills one.